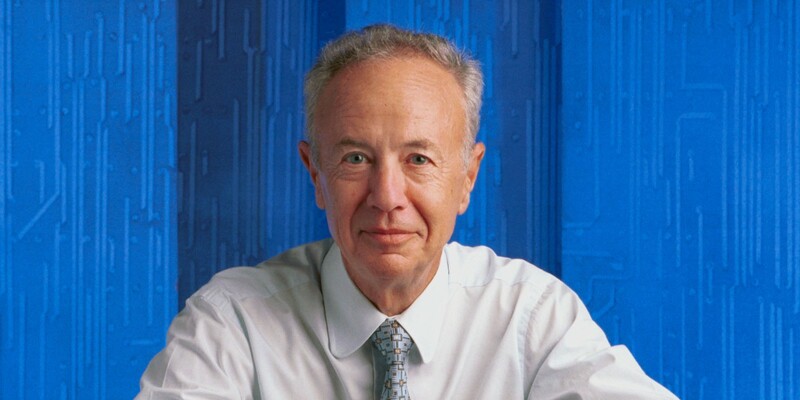 When the e-mail came in from a former Intel colleague that Andy Grove had passed away, I was caught completely off guard. While I had seen Parkinson’s Disease take many of Andy’s physical faculties, I did not expect him to pass away so soon. As I watched Andy get older I knew this day would eventually come, but I was surprised by the news when it appeared in my inbox. 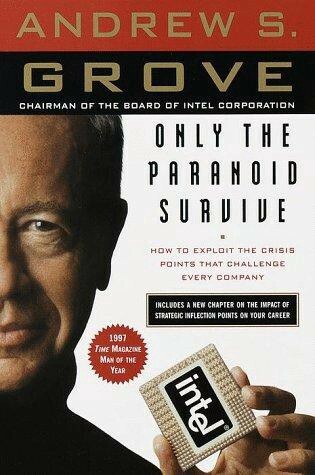 I had the honor and privilege of doing Andy’s research for his best selling book, Only the Paranoid Survive. In 1994 I was a young, newly minted Stanford graduate, and I joined Intel just before our Pentium FDIV incident which cost the company $475 million and a PR black eye. Andy had been one of my instructors at Stanford and, probably against his better judgment, he told Les Vadasz and Avram Miller that it was ok to hire me. I remember sitting in my cubicle one day in early 1995 when I saw the LED on my phone light up with Andy’s name — the CEO was calling. Being a young, eager and wet-behind-the-ears Intel employee, I ran over to Andy’s cube. While I am extremely proud to see my name in the front of the book in the Acknowledgments, what I remember most was the opportunity to work closely with Andy for almost two years as we supported his efforts to write, research, and iterate (over and over again) until the book reached the point where he was happy with the output. At the time Andy was at the height of his power; he was tough, brilliant, difficult and wonderful to work with — and he was all of those things simultaneously. In 1995 and 1996 Intel was at the height of its ascendance — we were the Google or Facebook of the day. My current students cannot fathom what it was like to work there, and I, as a 26 year-old kid, got to work intimately with one of the great business leaders of the century. One of the most important things I remember about Andy was his fierce desire to get things right — not to be right. If I challenged him on something he had written for the book he was always open to listening and debating a differing perspective given that he was manically driven to deliver the best output he could — and to have the facts to support his perspectives. In the many hours I got to spend with him at his house or on the phone, he was usually willing to talk about Intel, the company’s strategies and what he was dealing with as the CEO. He did not often talk about his personal history of escaping the Nazis or the Soviets, but when asked he always shared what he thought about politics and how what had happened in his history shaped his worldview. He smiled, turned to his next set of admirers and moved along. I told him I wanted one copy for work and one copy for home. The next day he gave me back my two books. The first one had a nice long note thanking me for my efforts. That copy sits by the side of my bed at my house. 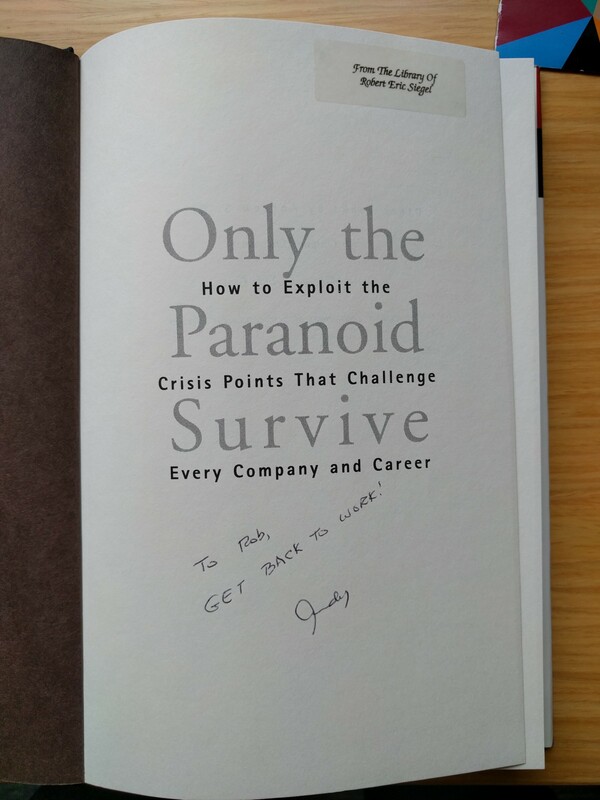 The second copy is in my office to this day with his inscription. 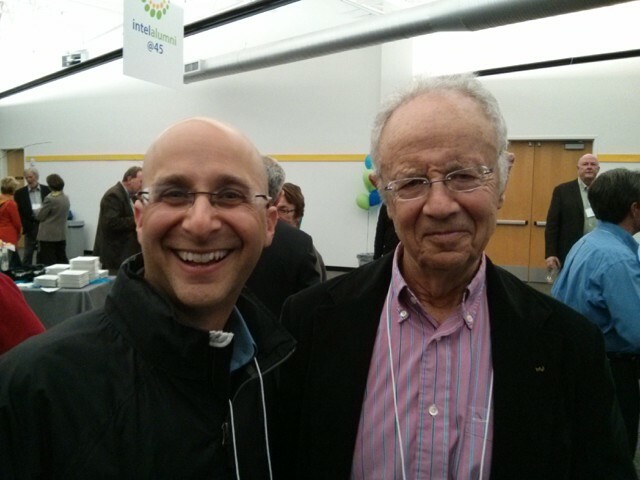 RIP Andy Grove. It was an honor to know you.